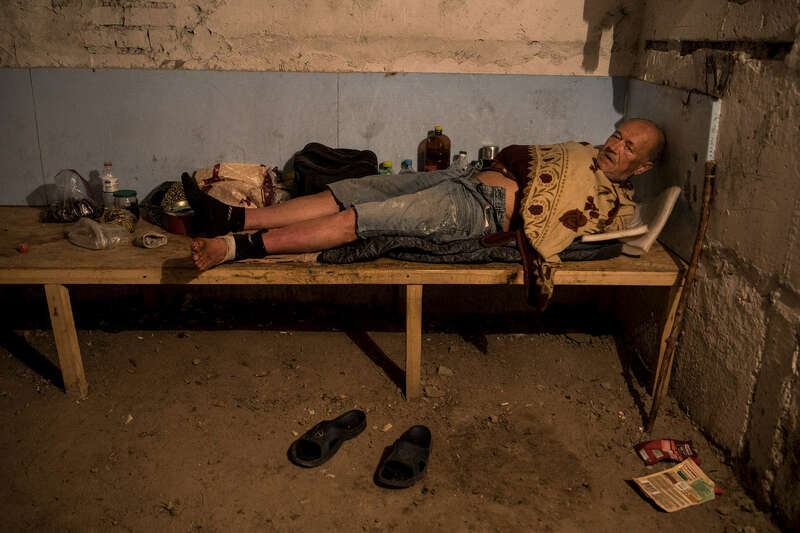 Avdiivka, Eastern Ukraine: Nikolay age 61, is homeless, his house was destroyed in old Avdiivka. He sleeps in a bunker underground in one of the apartment blocks in the city. He barely survives, has lost his passport, and has no money for medicine, unable to receive a pension after his documents were destroyed in the fire. He collects garbage for recycling to earn a few dollars. Over the winter he got frostbite in his feet causing an infection that won't go away, he suffers in constant pain.